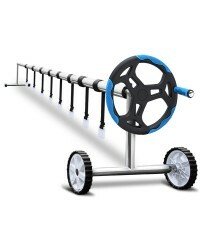 Just connect the 10m hose to your existing filtration system (any pump of 0.5 to 2hp is fine) ..
Made of sturdy aluminium construction with full adjustability, this pool roller is suitable fo.. 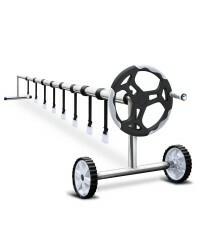 This brilliant pool cleaner unit automatically removes dirt, debris, bugs, leaves and sand to .. 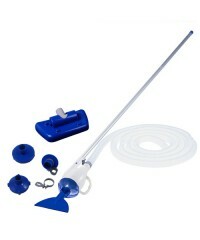 Designed to work in tandem with a 48-inch (122cm for the metric fans) wall height above-ground..
Keep your pool sparkling clean with the Bestway Swimming Pool Vacuum Cleaner. 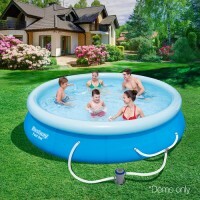 The Bestway bra..
Add a touch of contemporary steely class to your pool with the Aquabuddy Stainless Steel Pool ..